Easter week is the most important travel holiday in Honduras. If there is one holiday that most Hondurans travel in, it is during Semana Santa. 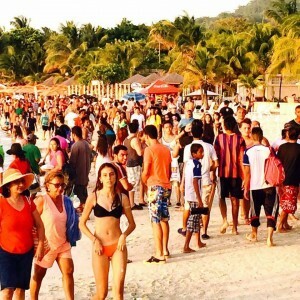 It is a tradition, and most Honduran tourists will travel to the beaches. There are several things you should know if you will be in Honduras during this holiday time. 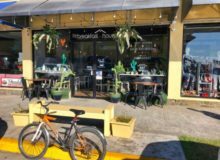 To help you make the best of your Semana Santa in Honduras, I have put together the following post about Honduras Easter Week Travel Tips. 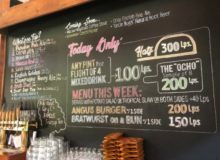 First and above all, make reservations. Whatever you do, do not take off on a holiday during Easter Week, aka Semana Santa without reservations. There is nothing worse than arriving at your destination and not finding accommodations. Take into consideration that hotels and lodges will be stretched to capacity. This means that flexibility on their part will be limited. Early check ins, late check outs, extra beds in room, these are hard to come by during this week. Whatever your needs at the hotel, let the hotel know with plenty of time in advance! Do not expect transportation to run on schedule. Extra road traffic will delay their travel, and you may miss any connections if they are tight. This applies to both, bus and ferry transportation during this week. One of the best Honduras East Week Travel tips that I can give you is buy your transportation tickets in advance! In some cases, you can buy your tickets online. Another one is to show up an hour in advance before your scheduled departure. Sometimes buses, ferry boats and airlines leave when they are full. No Transportation Services on Good Friday! Whatever you do, do not plan to travel of Good Friday, unless you are driving your own car. There is NO public transportation available in Honduras on this week. Yes, you read right, no local airlines, no local buses and no ferry service either. This is one of the most useful Honduras Easter Week travel tips that I can offer you! Do not try to travel on Good Friday! 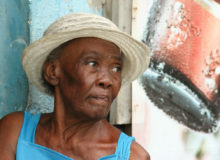 Take the above into consideration when planning your trip in Honduras. If you need to catch a plane early on Saturday after Good Friday, make sure you travel on Thursday to be there on time. Another option is to give yourself an extra day. A couple of years ago, a gentleman had to hire a cab from La Ceiba to Tegucigalpa on Good Friday. He had not been aware of the no flights on Good Friday and had a flight out of Tegucigalpa at 7 am. the next morning! 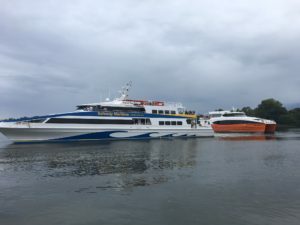 Buses, ferries and airlines will be full on Thursday, Saturday and Sunday. (Remember they will not operate on Good Friday!) Plan for this. Remember that most transportation companies operate on a first come, first serve basis. Hedman Alas and Viana Transportes are probably the only ones that you can book in advance and have your seat waiting for you when you arrive. Check for Last Minute Schedule Changes! Extra departures are common on these dates. 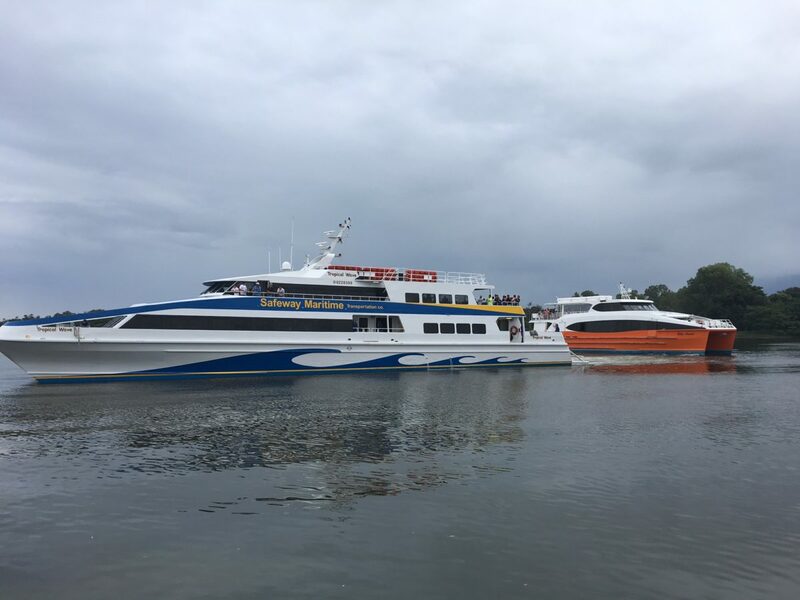 You will find that the ferry boats always operate extra trips. It is a good idea to check their facebook pages to find what their temporary schedules will be. Schedules usually change during this week to accommodate extra departures. 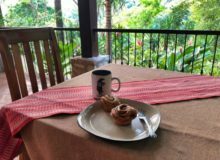 I hope my Honduras Easter Week travel tips has been helpful and allows you to enjoy the week at the fullest! Before I finish, there are a couple of tips you should read about. Tegucigalpa and Comayagua both hold elaborate processions on Good Friday. 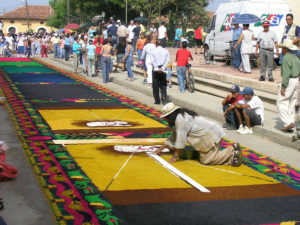 They prepare the route by creating artistic sawdust carpets that are colorful. Consider staying in Tegucigalpa during this week. You will find that it is the best time to discover the city. 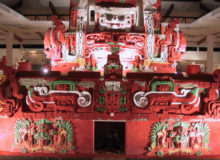 Enjoy the processions and have a special, different experience. 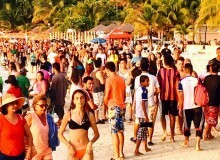 Personally, I hate crowds, and you will find these at every single beach in Honduras during Easter Week! I call it the “Summer Blues” when you go to a beach and find that it is full with people!